Here are updates to the November 28th, 2018 presentation by Trish Voth Blankenship & Harvey R. Sorensen with Foulston Siefkin LLP regarding Opportunity Zones. The Sedgwick County GIS is updated to depict the county’s Opportunity Zone tracts! 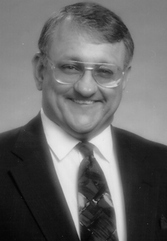 Big thanks to Frank Hutto and his team – We encourage chapter members to thank Frank direct: Franklin.Hutto@sedgwick.gov 660-9291. The OZ tracts are shown within a yellow boundary when the OZ layer option is selected. Click here for a screen shot example to assist users. Initially the OZ GIS layer is only available on this “main” “portal” county GIS web location. It is not also available on the mobile version, or on the City GIS. But, in the next month or so, the county likely will create a new tax map application, a mobile product, including OZ and mapping of additional tax-related districts/areas. You can download an electronic copy of the slides from the meeting here, requested by several chapter members, to make this information readily available to all chapter members. 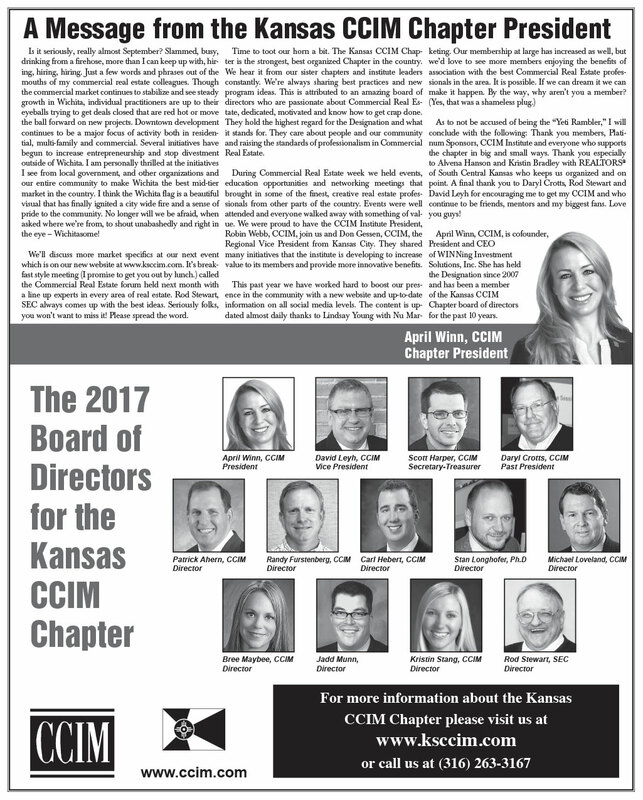 Foulston Siefkin LLP is still collecting input from Kansas CCIM Chapter members, to identify what additional OZ information or assistance might benefit our area, or our clients, to accomplish OZ investments and transactions. Chapter members are welcome to contact Trish Voth Blankenship, Harvey R. Sorensen, or Christopher Hurst (316) 267-6371. 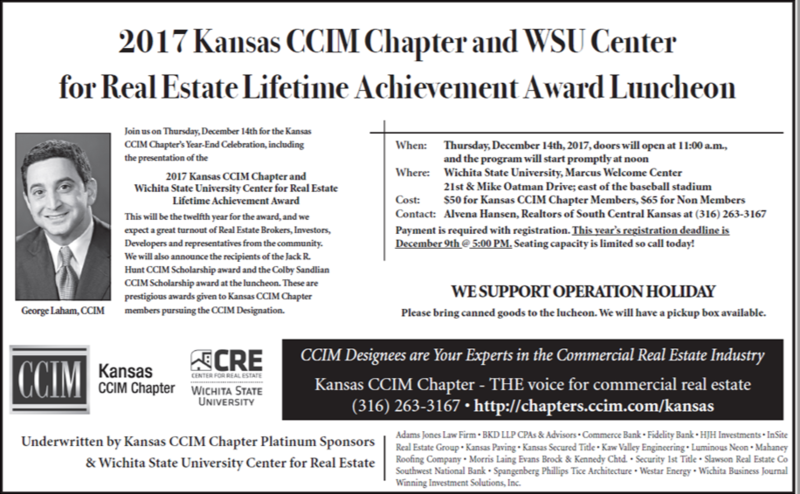 The Kansas CCIM Chapter Course Scholarship Program was created to support qualified real estate professionals in their efforts to achieve the CCIM designation. 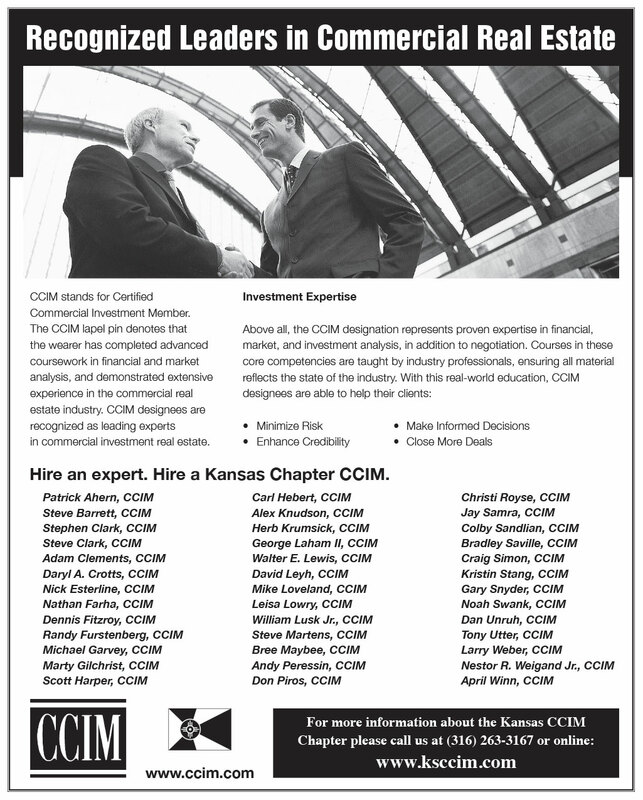 Recipient should exemplify the high caliber of professionals that comprise the CCIM Institute. What is a Marketing Session and Why is it a Good Thing? By: Rod M. Stewart, S.E.C.